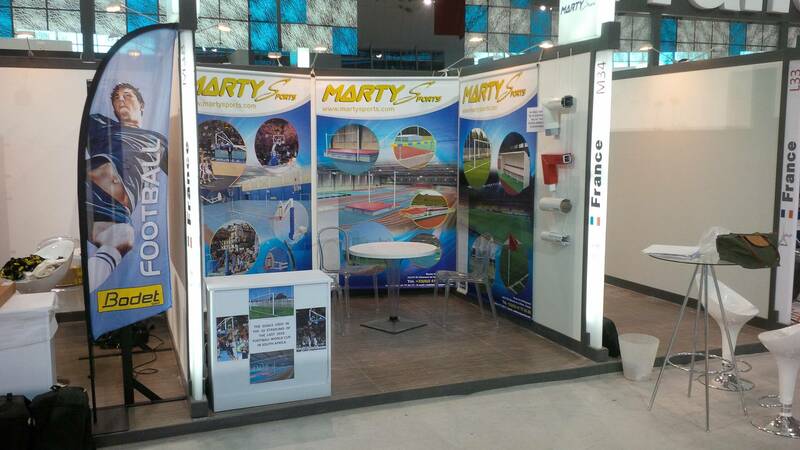 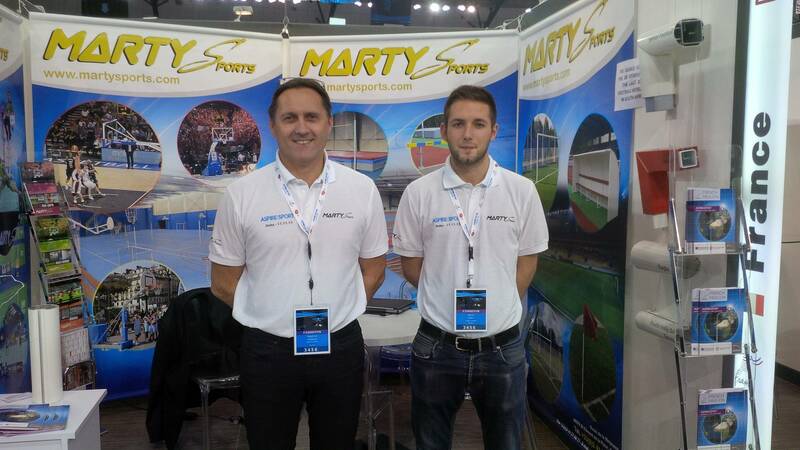 MARTY SPORTS exhibited on the ASPIRE4SPORTS in Doha, Aspire Dome (QATAR) : a recognized world-class conference and the Middle East’s leading sports business congress and exhibition from 16th to 19th November 2013. 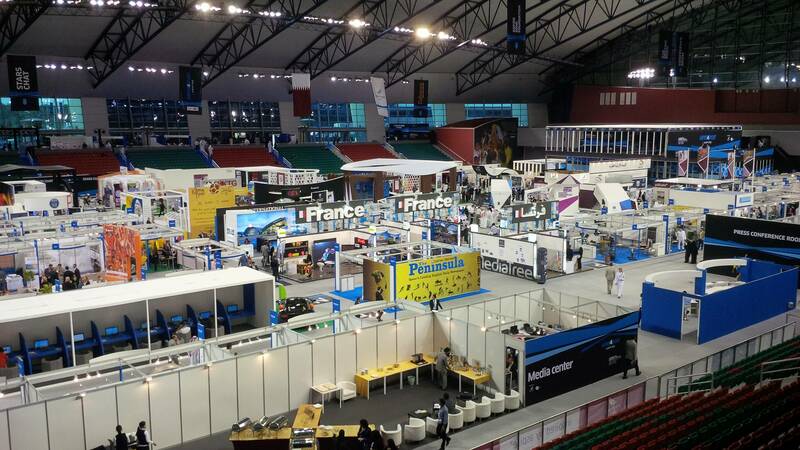 We are with 10 other French companies on the French space organized by UBIFRANCE, somehow the team of French export companies. 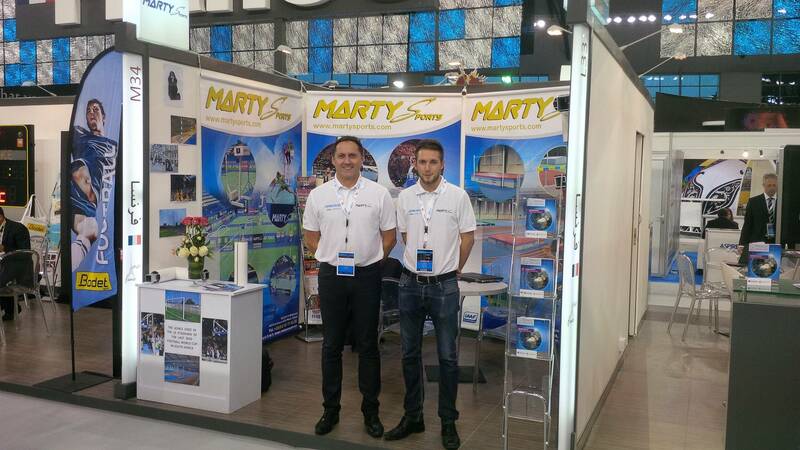 3rd day: we had the great pleasure to welcome on our stand a delegation composed of Mr Abdulaziz AL-MAHMOUD Aspire4sport president, of Mr Denis Massiglia, president of the Cnosf(Olympic french comity) and Mr the Ambassador of France in Qatar. 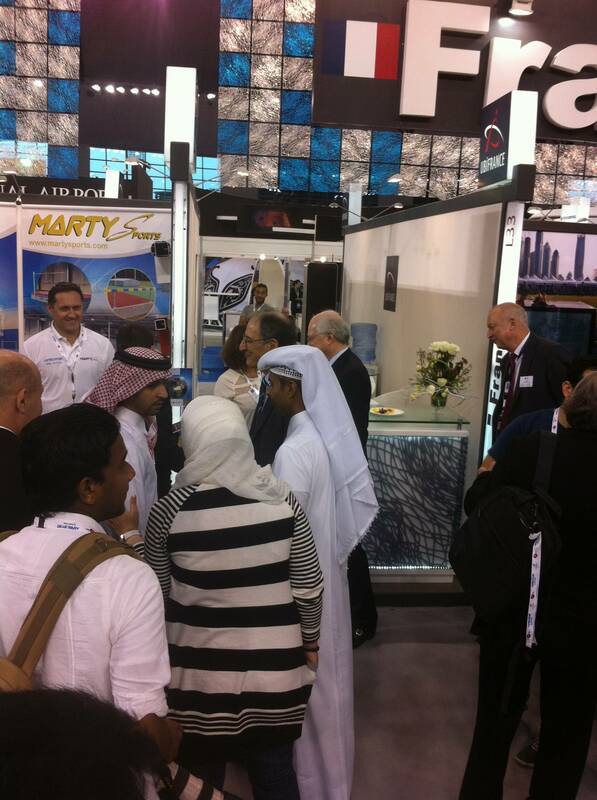 We showed them the extent of our know-how.